In town on a business trip? Looking for a quaint but gorgeous place to stay? 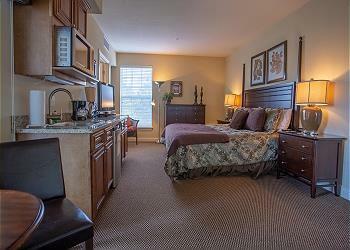 Our Branson studio vacation rentals may be exactly what you're looking for. These beautiful Branson Missouri condo rentals may be small, but pack a big punch - offering high quality furnishings, plenty of sleeping space, and - of course - easy access to all that Branson has to offer! Better yet, whether you're in town for pleasure or for business, you'll find a variety of nearby amenities to suit your tastes, including amazing restaurants, plenty of fantastic hiking trails, gyms, and so much more. Oh, and don't forget to bring your pet; some of our rentals are pet friendly! Without a doubt, our Branson Missouri condo rentals and studio rentals are among the hottest rentals in Branson, providing you with the perfect place to stay and a memorable vacation to boot. So click below today to view the rentals we have to offer! We can't wait to see you here in beautiful Branson Missouri! We want you to be comfortable but also adventurous when you chose one of our Branson Studio Vacation Rentals look through our selections to find your next home away from home! Rent our Branson Missouri condo rentals today!